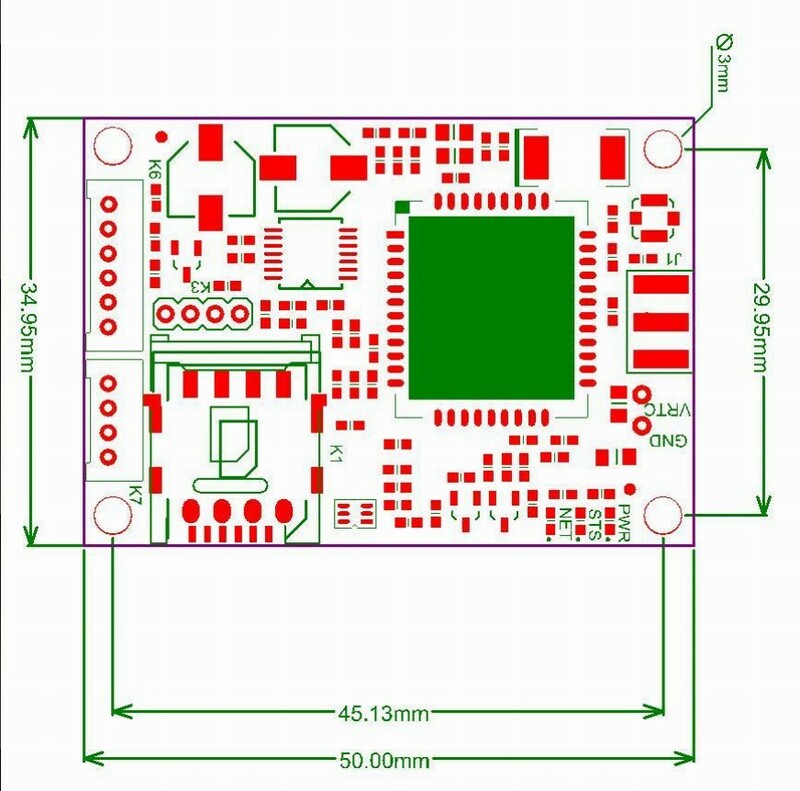 SIM800C TTL UART modem, the latest addition to rhydoLABZ GPS/GPRS modem, helps to add wireless connectivity to your project using TTL UART interface. It is built with Quad Band GSM/GPRS engine – SIM800C, that works on frequencies 850/ 900/ 1800/ 1900 MHz. SIM800C comes in SMT package with 42 pads and physical dimensions of 17.6*15.7*2.3mm. Due to the increasing popularity of micro SIM cards, micro SIM card socket has been integrated with the modem. 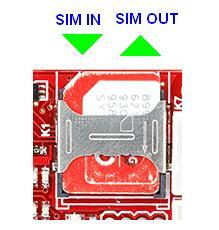 The SIM card can be conveniently pushed in and pulled out as indicated on the socket. 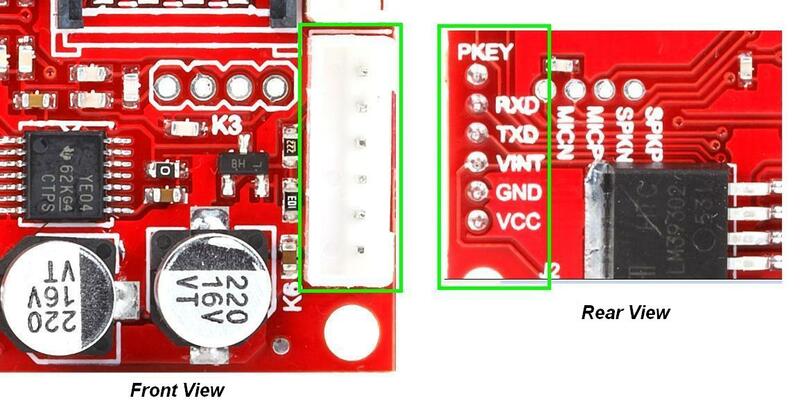 PKEY – This pin can be used to power ON/OFF GSM module with external controller. To manually turn ON the module, remove resistor R6 [shown below], power the modem, keep this pin HIGH for sometime and make it low. The module alternately turns ON/OFF for each pulse given. 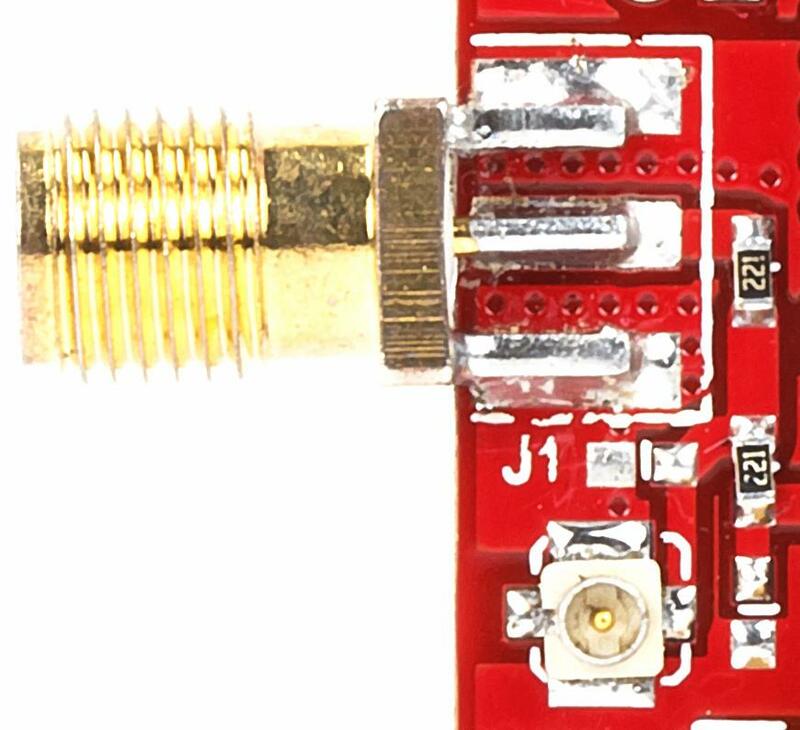 J1 - External antenna interface. The modem comes with SMA and UFL connectors for external antenna interface. J2 – This comes in handy when 5V is given as Vcc. 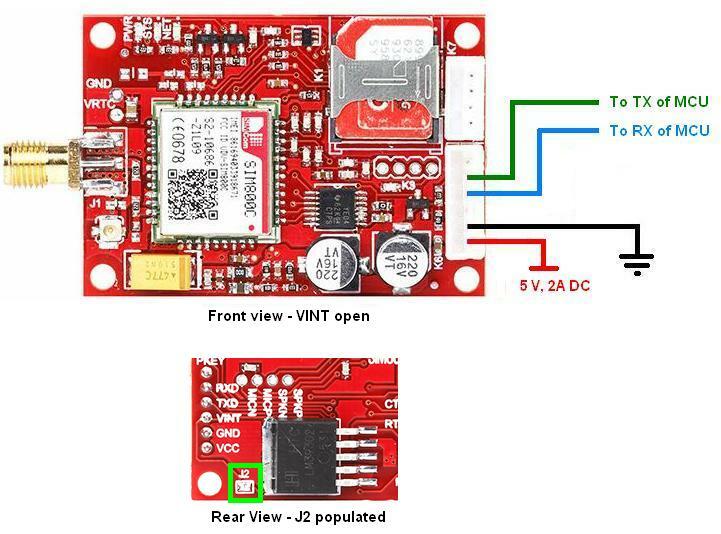 If J2 is populated, VINT gets connected to Vcc and the modem interface automatically becomes 5V. To power the modem, it is recommended to use 5-12V, 2A power source. 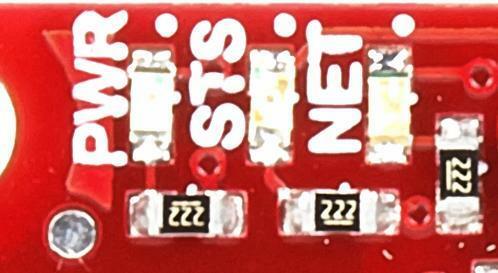 When powered, you can see that the indicator LEDs – PWR, STS, NET lit up. 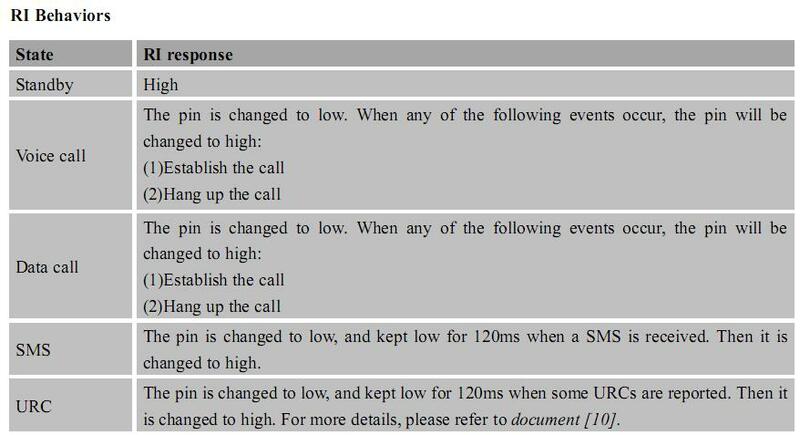 Initially the NET LED blinks at a faster rate indicating that the SIM has not registered to network. The blink rate gets slower once the SIM gets registered. 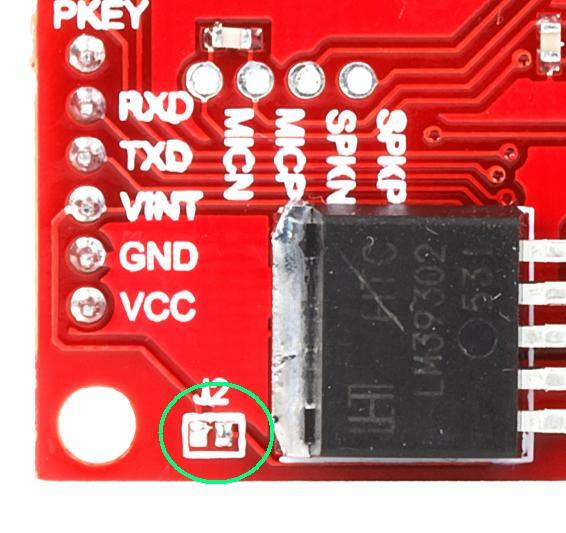 However if you want to turn ON/OFF the SIM module manually, you can use the PKEY pin as mentioned above. Having gone through the various hardware aspects of the modem, now we can see how to communicate with it from PC / laptop. As you know, the modem has TTL UART interface. So you cannot communicate directly with it from PC. You can use a USB-TTL converter based on FTDI chip as the mediator which allows you to communicate with PC via USB miniB Cable. You can get wide variety of such converters from rhydoLABZ. Before starting communication, don’t forget to install the driver in your PC. The modem is powered from an external source and the converter is powered by USB. 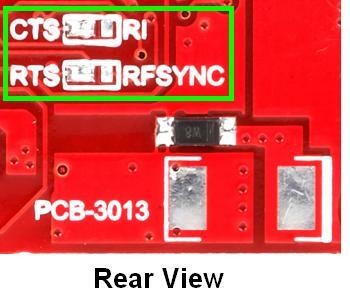 In the connection diagram shown above, you can see that the VINT pin of modem is tied to VCCO of the converter [middle red line] that determines the interface level as 3.3 / 5V as selected by the PCB solder jumper on the other side of the converter. Now you can communicate using any terminal software such as Realterm, Docklight etc..
To communicate with MCUs that use +5V level, you can use the following connections. 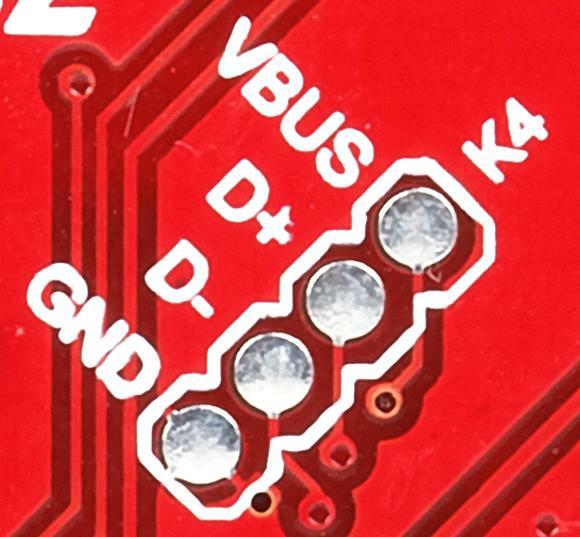 In the first case, VINT of modem is tied separately to +5V. The maximum voltage that the pin can tolerate is 5.5V. 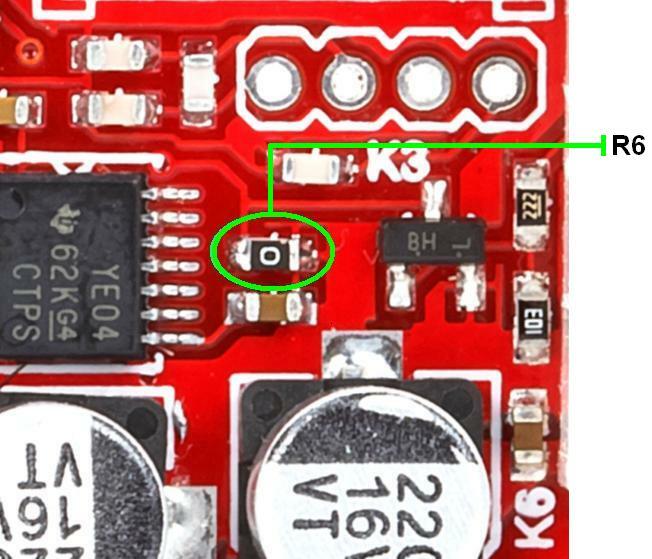 This connection can be followed if your power source is > 5V. 2 Responses to "Familiarize with SIM800C TTL Modem"
Dear Sir/Madam, I want to buy SIM800C TTL Modem. Your website shows that during the interface with Microcontroller, the GND pins of Modem and Microcontroller are not connected. 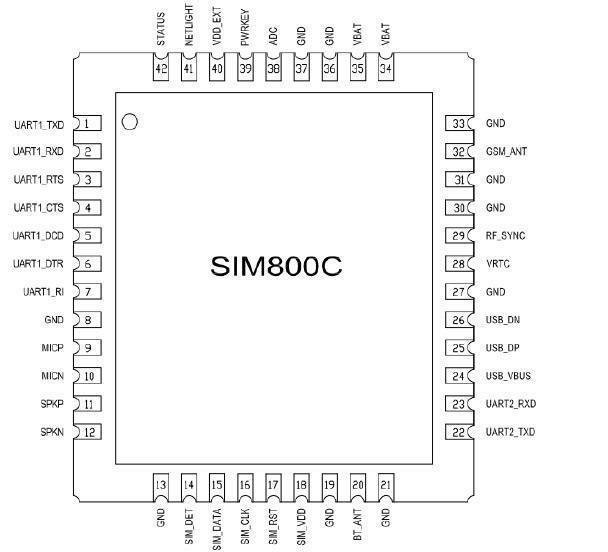 I want to interface 5V Microcontroller with SIM800C. 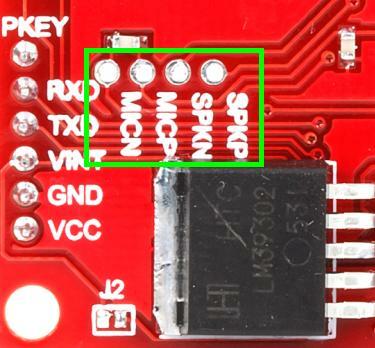 So should I connect GND pins of Microcontroller and SIM800C together ? It is shown in our wiki page that when you interface with microcontroller or USB to TTL module please ensure that GND should be common.